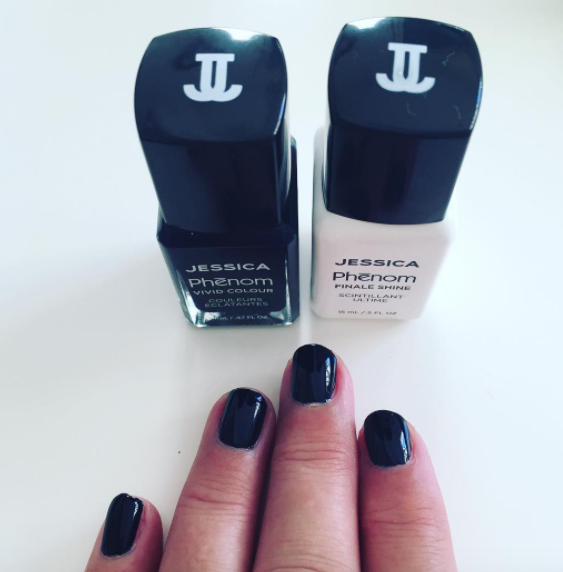 Rougepout Beauty: Jessica Phenom Range - Winter Collection - They have nailed it! 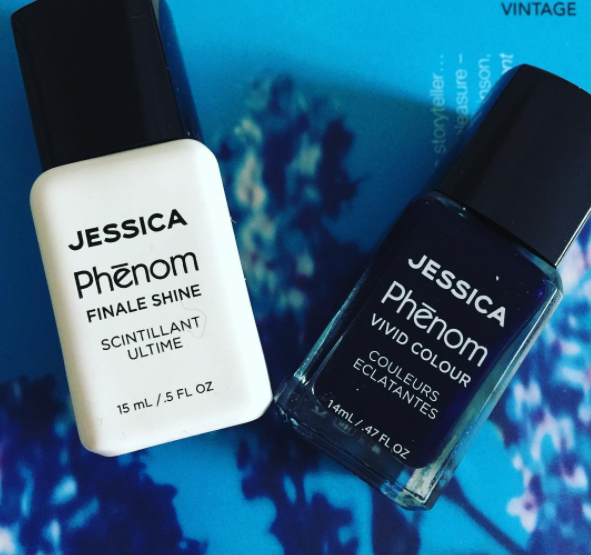 Jessica Phenom Range - Winter Collection - They have nailed it! Can nail polish get any better? Jessica Phenom has certainly nailed this varnish game, polished it off and left me lacquered. Phenom, that's a title to live up too and it is Phenomenal, it's such a rich consistency of polish I honestly couldn't bring another to mind that I have come across like this, not in all my years of decorating my talons with rich reds, deep noir and this gorgeous Star Sapphire, with the depth of the deepest seas. It reminds me of molten metal that you see being poured in foundries featured in those re-runs of 1970's industrial films. It collects at the tip of the fine headed brush and congeals, once on the nail it looks poured rather than brushed, it almost pools onto the shape of the nail. I was in awe of the one coat, just the one and the colour gleamed out at me, like jewelled sapphire. To seal in the colour and give nails that high shine, Jessica has Phenom Finale Shine. This is quite a thick top coat that leaves nails super glossy, it dries fairly quickly too, which is great, especially if you're familiar with fast drying top coats. If you prefer to go super festive, you, have a gorgeous gold lacquer or a sumptuous silver to apply, they all look poured when on the nail, super rich and long lasting. Perfect nail options for the Christmas Party or if you're like me, and, you like a dark nail all year round, then, grab this polish.